It’s becoming more and more of a chore to keep my blog updated and full of information that keeps a readers attention. I haven’t really had the time to actually sit and watch the happenings of this world in order to write about them. There are things that I love writing about with College Football being at the top of that list, but a lot of you don’t share the same passion for Collegiate Football as I do. If you’ve already read this far, I’m warning you now, if you don’t like football I highly suggest you stop reading. Some Places They Play Football, At Alabama We Live It. 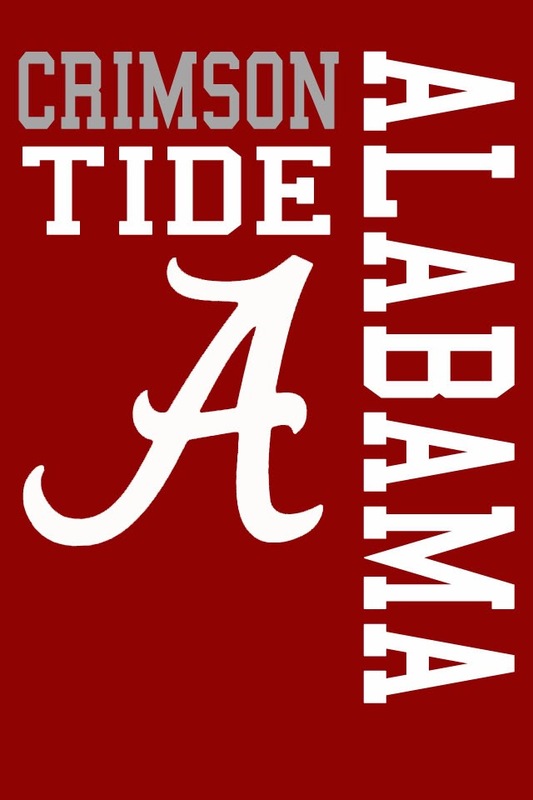 As most of you already know I’m a die-hard Alabama Crimson Tide fan! A lot of you don’t know the story on how I became an Alabama Fan. 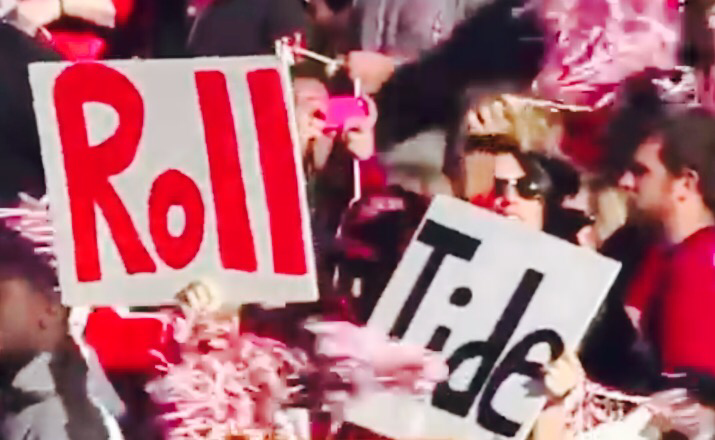 Growing up in Alabama, you have to choose between Auburn or Alabama. About 95% of my family just so happen to be Auburn fans. I really can’t remember what year I made the best decision of my life, other than to have my children, but if I had to guess it was around 1989 or 1990. The Iron Bowl was being played at this time was being played at Legion Field in Birmingham, Alabama. 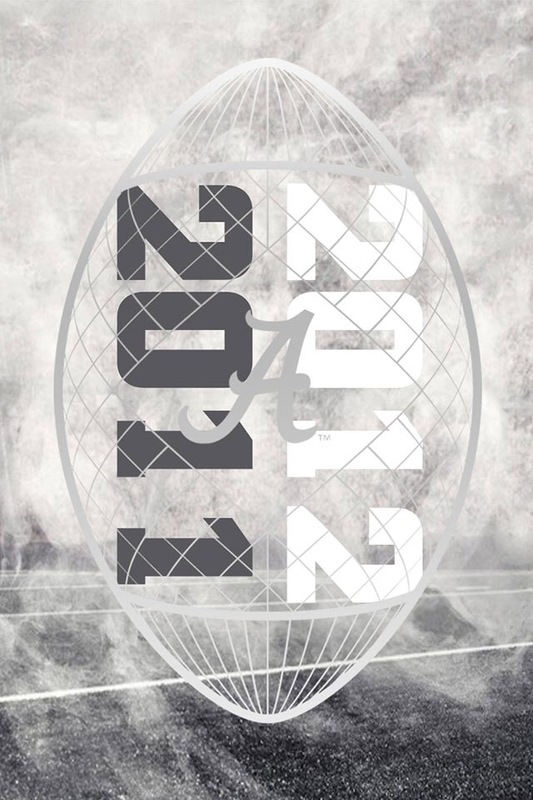 For this Iron Bowl the majority of my family and I congregated at my Grandmothers house. At this point in my life I hadn’t made a decision, but I was being “pressured” to choose a side. I remember it like yesterday, my uncle said to me, “you better choose the right team,” simultaneously giving me a firm smack on the back. That’s how I made my choice. I wanted to be the different one!! So I chose the Alabama Crimson Tide. From that day I’ve been representing! Being 4 months removed from the 2014—2015 College Football season, I need some football in my life. This happens every year. I hate this part of year, so in order for me to get my football fix, I watch highlights of previous games and talk football. I call it watching film and picking up on the same keys that an Offensive/Defensive Line use to their advantage. I’ve never played football, but in my dreams I’m a HOF Wideout (Offense) or a Linebacker (Defense). A lot of you call it sickening, I call it being a fan. Not to get off the subject, but I take the same approach when listening to music. Meaning I put in a lot of time in an upcoming or established artist so I’m able to make MY own opinion and not depend on a critic that thinks he or she knows everything. Anyway……Last year was a tough season for my Tide. Injuries to key players, inconsistency on both sides of the ball, players not buying into the Process and a ton of issues, but I’m not here to point those out. I’ll let the media and Crimson Tide haters do that for me. Coach Nick Saban arrived to the capstone in 2007, coming from the NFL Ranks, the Miami Dolphins to be specific. His record since arriving in Tuscaloosa is 86-17. He is an awesome recruiter, a great Coach among a list of other things. Coach Saban took a sub-par team and placed the Crimson Tide back in the conversation where they should be. There was a complete turnaround. His only sub-par season was 2007, they went 6-6 in the regular season and won a bowl game that year, ending the year with at 7-6 record. Listed below are the remaining seasons to date. 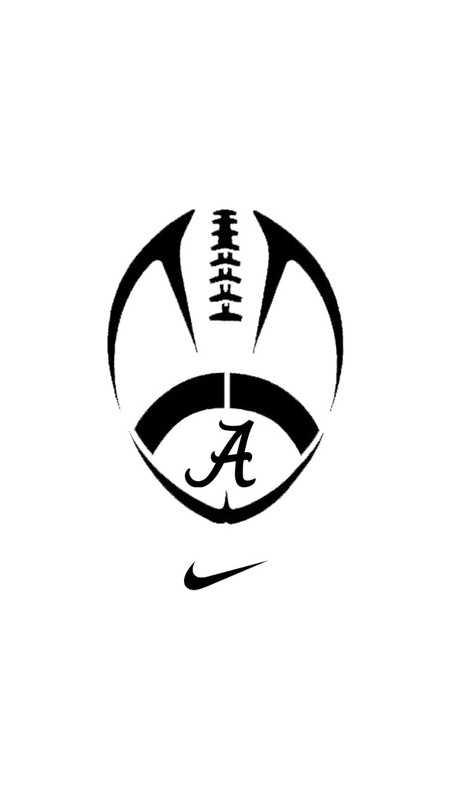 What I’ve noticed is that the Crimson Tide refuse to do well in the Sugar Bowl. Why is that? I have no idea. Maybe if we stick to winning National Titles, hopefully we can bypass it. It’s been a minute since I’ve really sat down and put something meaningful down. We’re almost at the halfway point of 2015 and A LOT has happened. It’s crazy how police brutality is being brought to the forefront of every news outlet there is. 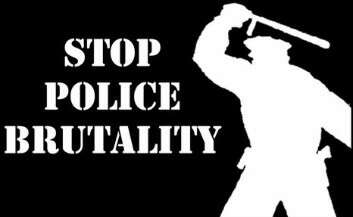 Before I get started, I would like to make it inherently clear that I in no way condone police brutality or provoking law enforcement. The only thing I am doing is voicing my opinion. The last time I checked, that was still a freedom I fought for and lost brothers for. If you have something to say, in MY forum, keep it to your damn self. First off, let us look at what is shown in the media when it comes to police brutality. Usually we don’t see how the event transpired. All we see is the climax and the ending. 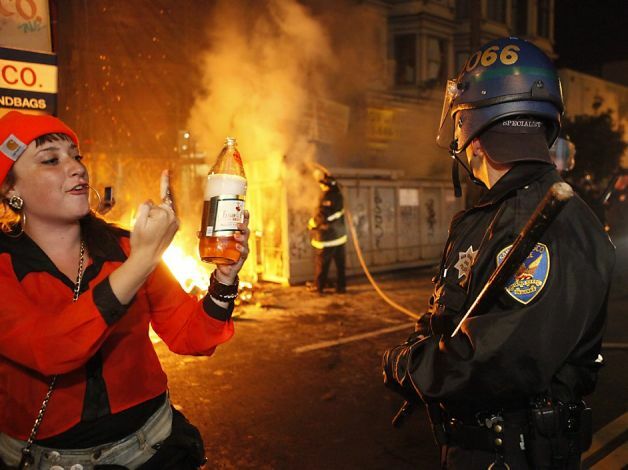 In no way am I condoning the behavior of law enforcement, just asking to see all the facts before people make decisions to violently riot and destroying a city. I honestly feel the media plays a big role into how individuals react to certain situations. I’m sure by this point, if you’re a close-minded individual, you think that I am attempting to justify the actions of the “rotten apples” of law enforcement. It’s not that at all. I just want EVERYBODY to look at these events from a neutral position. Does every stop by law enforcement have to end up with an individual being seriously injured or killed? What causes a law enforcement individual to go from “0-100” in a matter of seconds? Are law enforcement individuals allowed to pick and choose from a standard operating procedure as they please or when they feel the need to skip certain steps? Not all law enforcement individuals are bad, but there are a TON of bad apples in the bunch. We as people have come to the conclusion that when a certain color individual is stopped it’s for reasons just to harass or to provoke. The way I see it is, if you are wrong and your are caught doing something wrong, own up to it so that the situation doesn’t end up escalating and putting you or the law enforcement individual in a position that could change your lives forever. As a law enforcement individual, more restraint should be used. Meaning, If you really feel that a situation is about to get out of hand, ensure that your dash camera is on or recording device is working properly so if the situation goes bad ad you feel that the use of force can be justified. This post wasn’t meant to educate, but a way for me to some stuff off my chest regarding this whole police brutality issue. Like it or not, it’s all my opinion.